430,000 years ago Spain an ancient species of human was living in Spain. Although our behaviour differed in many ways; it turns out we did share one interest: murder. This revelation comes from the forebodingly titled “pit of bones” in Spain, where 6,200 ancient human fossils have been found. These represent at least 28 individuals, several of whom – upon closer inspection – appear to have suffered some rather traumatic injuries1. What’s more, these wounds are consistent with some sort of projectile weapon. Since animals don’t routinely use spears, only one possibility remains: they were murdered1! Or to give it the technical term used in the paper “interpersonal violence”. Because screaming “murder murder murder” doesn’t sound sciency enough. 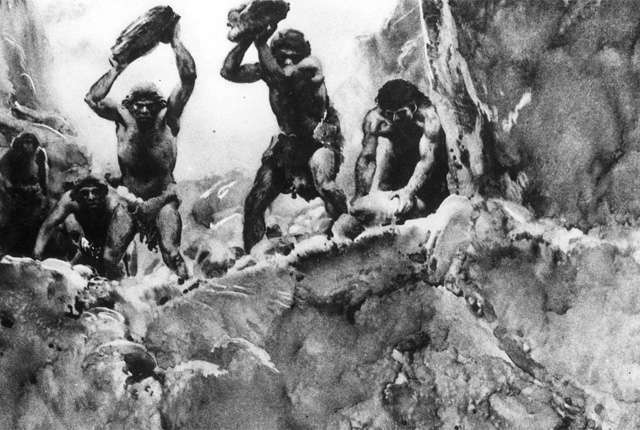 The fossils in question belong to the ancient human species, Homo heidelbergensis. They may have been the ancestor of Neanderthals so, like them, were recognisably human. They had big brains, a flattish face, and made all sorts of stone tools. 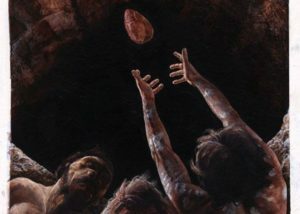 Much of what we know about Homo heidelbergensis in Europe comes from the Spanish site of Sima de los Huesos (Pit of Bones), a roughly 430,000-year-old site where dozens of individuals have been found. Back in 2015, Nohemi Sala and her colleagues found that one of those fossils likely suffered a violent death. Cranium 17 has two depression fractures on their forehead. 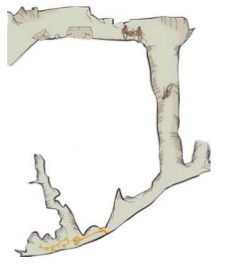 This damage was clean, indicating the bone was still fresh and surrounded by the flesh; proving that it happened close to the time of death (perimortem)2. Similarities between the two wounds show they were made by the same object, making an accident unlikely. Clearly, this was murder most foul2. But was this skull unusual? Or were there more murder victims waiting down the pit of bones? So Sala and some of her colleagues started looking at the other skulls found at Sima de los Huesos. Sure enough, another 7 had the same sort of perimortem damage; showing they were likely killed by a smack to the skull as well1. However, what happened after the murder is perhaps even more interesting. Of course, the revelation that many of these people were murdered would lend support to the latter. After all, it’s hard to accidentally fall down a shaft when you’re dead! However, this also changes the context around any burial that did happen. Perhaps this wasn’t some careful funeral, but murderers hiding the body. Or tossing their victims down the nearest hole because they had no respect for them. One tool was found in the cave. Could it be murderers hiding the evidence? People have been studying this site for decades, hoping to discover how “human” this ancient species was based on its capability for caring; both during life and after death. It turns out they were very human, although not because they were compassionate. Sala, N., Pantoja-Perez, A., Arsuaga, J.L., Pablos, A. and Martinez, I., 2016. 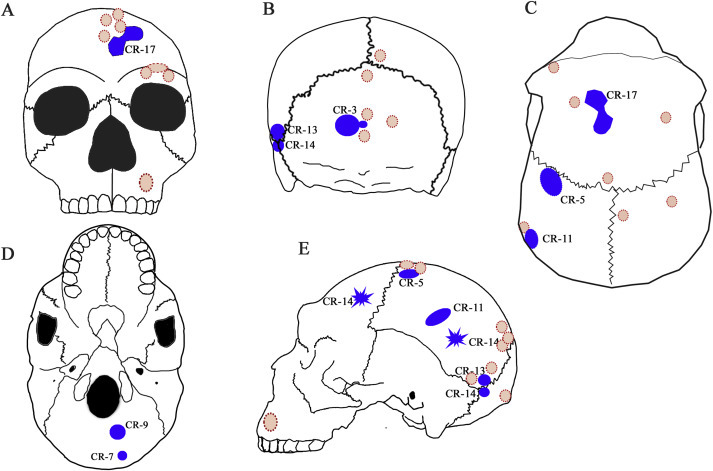 The Sima de los Huesos Crania: Analysis of the cranial breakage patterns. Journal of Archaeological Science, 72, pp.25-43. Sala, N., Arsuaga, J.L., Pantoja-Pérez, A., Pablos, A., Martínez, I., Quam, R.M., Gómez-Olivencia, A., de Castro, J.M.B. and Carbonell, E., 2015. 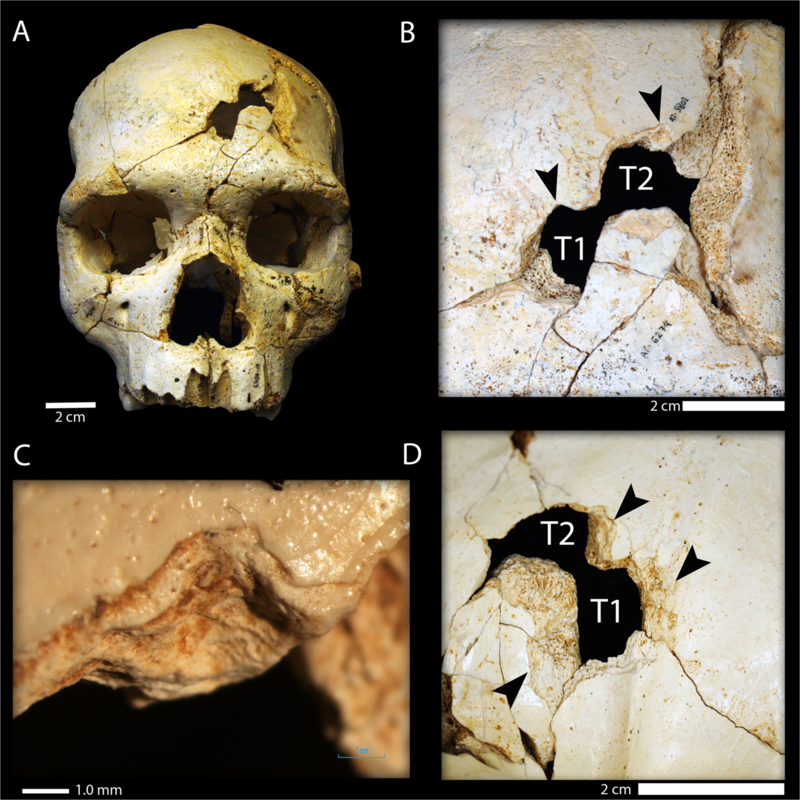 Lethal interpersonal violence in the Middle Pleistocene. PloS one, 10(5), p.e0126589. I have an alibi! Good article. Maybe these “peaceful” hunter-gatherers weren’t so peaceful after all. Or maybe that’s evidence of early religion, or early government, as in sacrifices or executions. 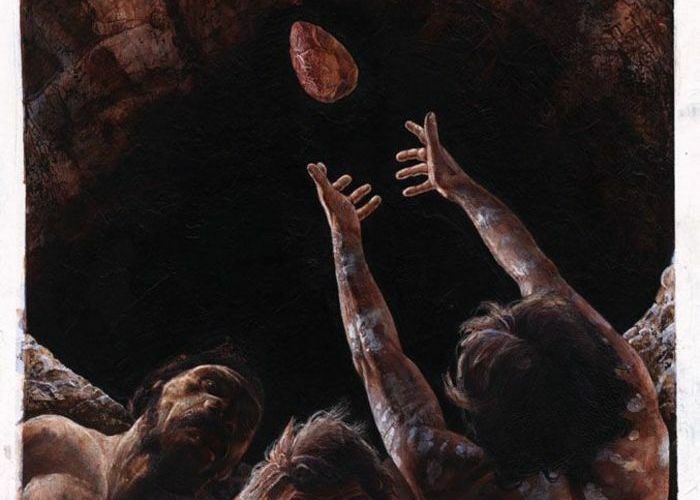 Seems like these cave-men were living up to their stereo-types. You don’t know. Maybe these people deserved what was coming to them. They could have been real assholes. Murder does not mean killing. It is rather an illegal killing. I think the researchers use of “lethal interpersonal violence” was justified as it does not make any assumptions about their culture beyond the hypothesis that it was a killing. As for “burial,” I sort of like “deliberate body disposal” used by the Rising Star team as “burial” itself can be a loaded term. Deliberate body disposal works so long as the bodies where intentionally put into the cave whether the bodies got into the cave by the actions of those who found the bodies or by the actions of those who killed them. This raises all sorts of questions about “illegal”. How codified must rules be before legality starts becoming a factor. And was hominin society at this level close to half a million years ago?